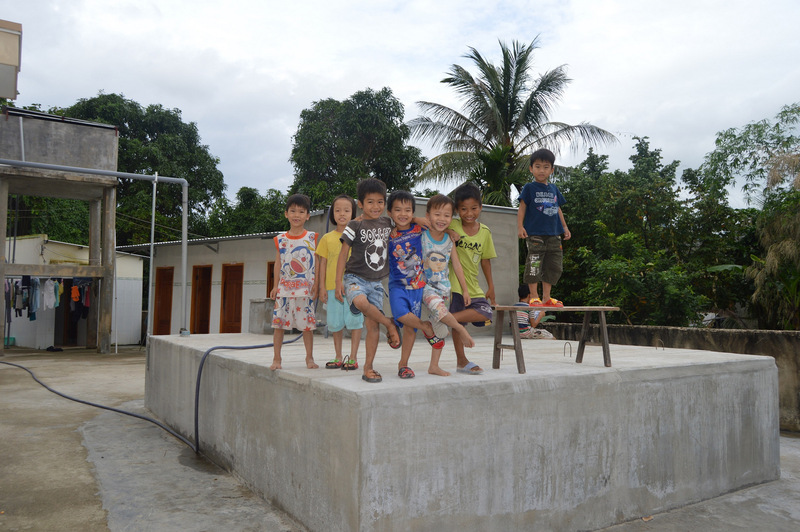 In November 2016 we completed construction of a water filtration project at the Nhan Ai Orphanage in Cam Ranh. 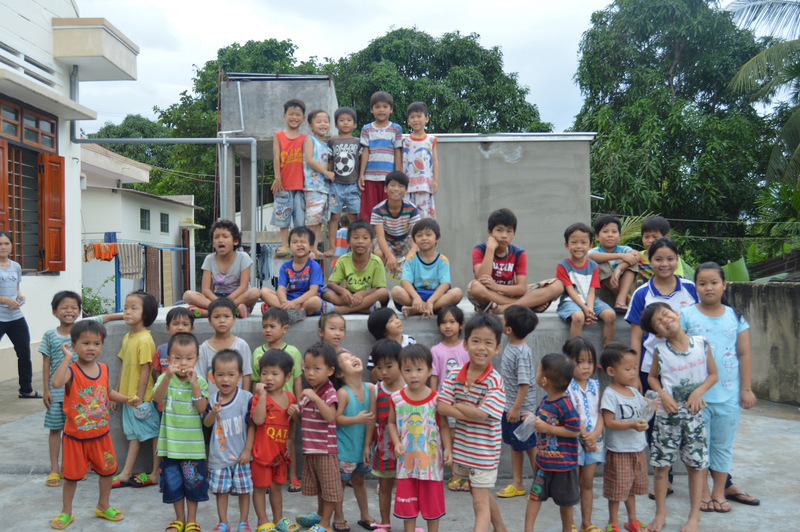 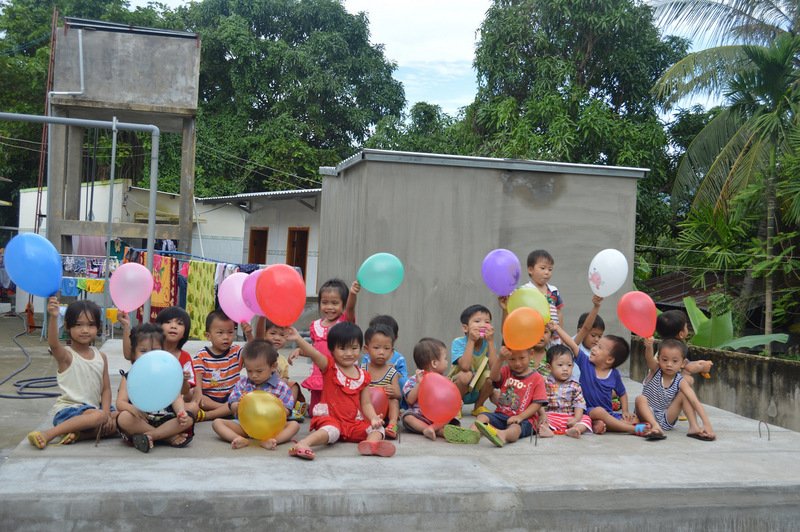 Nhan Ai is the largest orphanage that we assist, with over 130 children it its care. 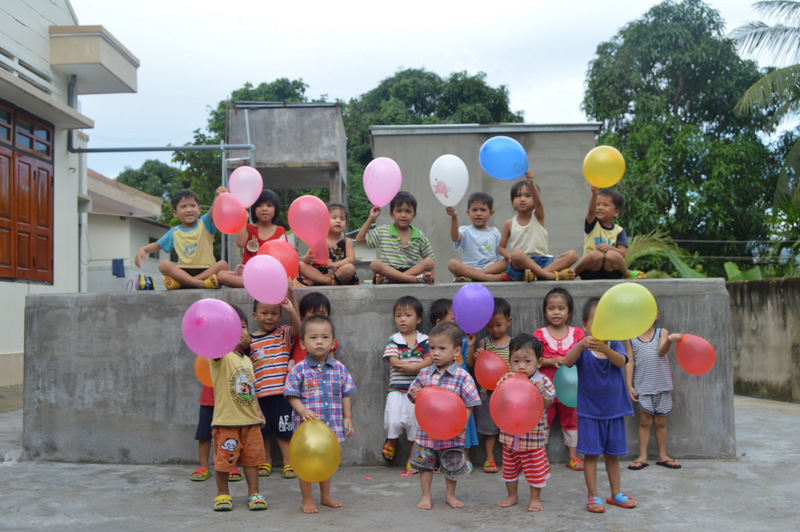 As the orphanage has grown, so have the demands for better facilities. 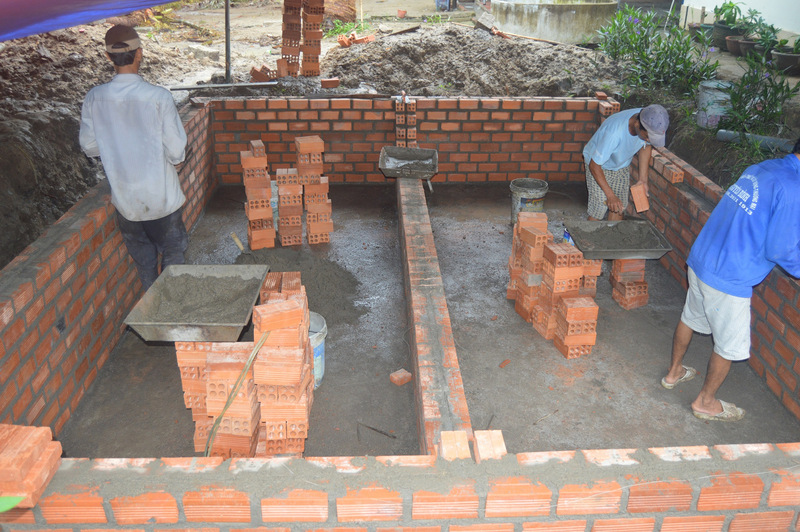 In recent years, we have helped fund a new water tower, new bathrooms, and new living space for the orphans. 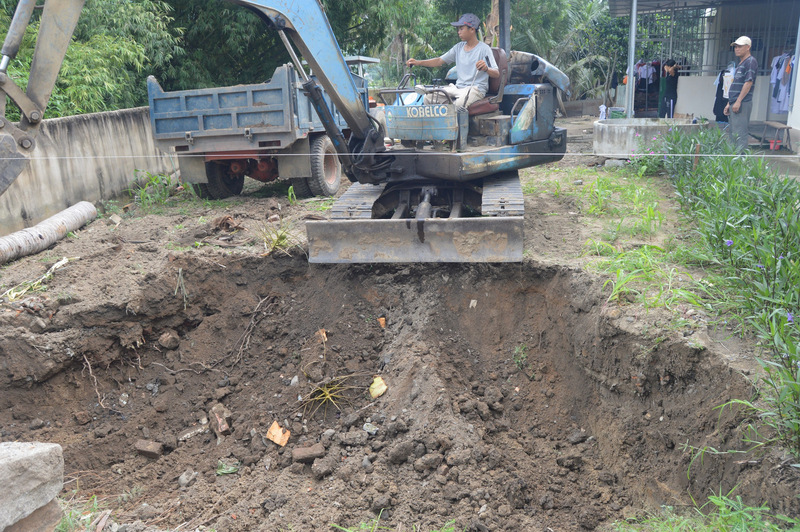 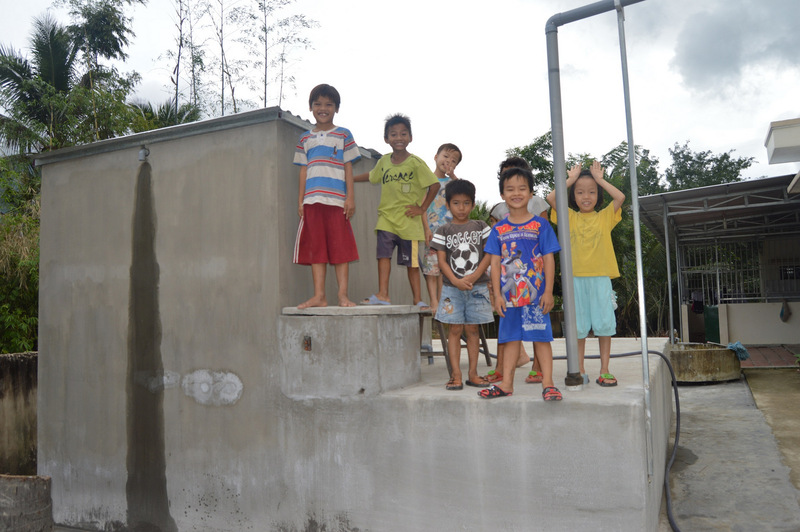 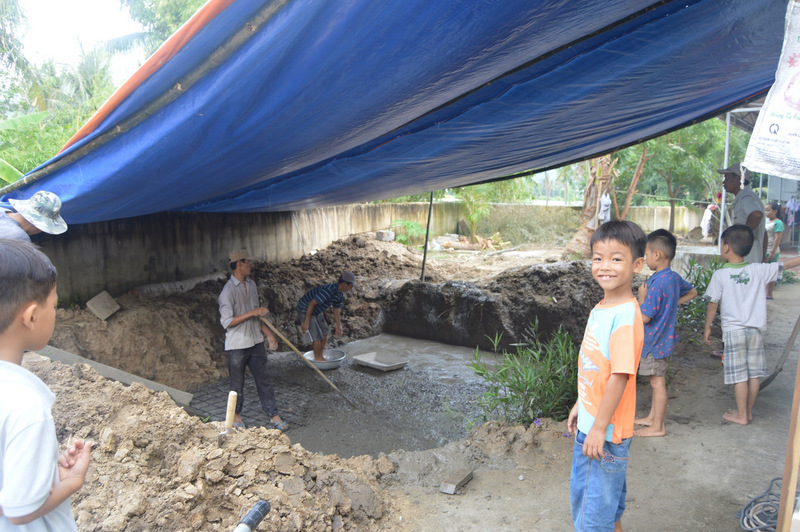 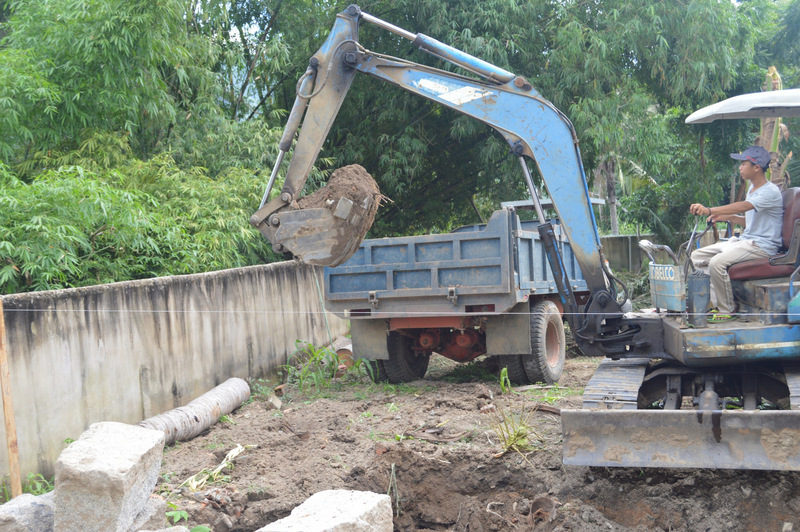 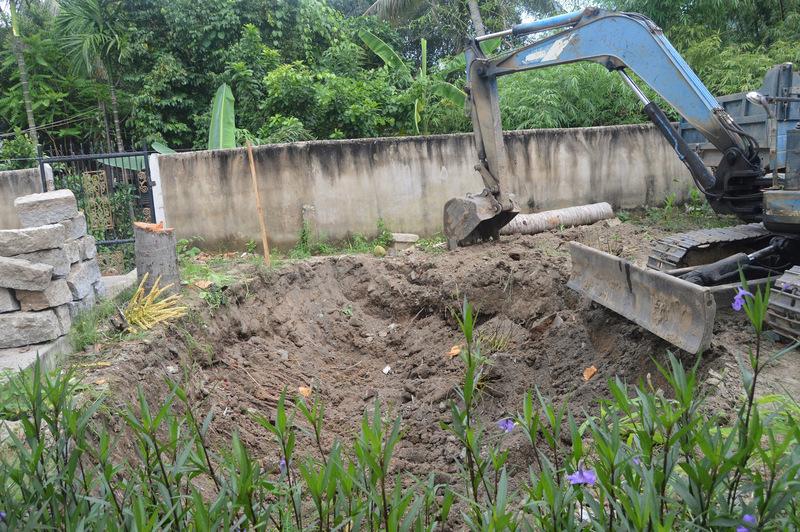 To ensure the children have clean drinking water, the nuns at Nhan Ai told us their desire to build a large-capacity water filtration system, which would reside next to the bathrooms and the water tower. 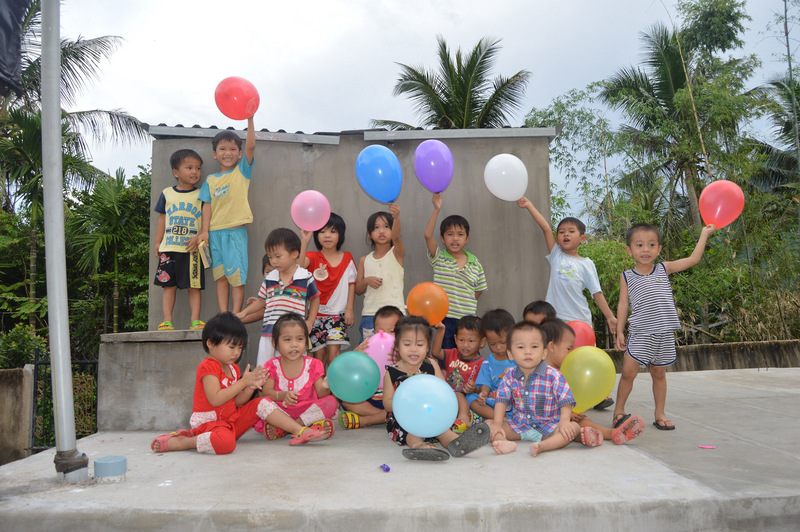 We were recently contacted by Betty Lam of the USA, who is a longtime sponsor of Nhan Ai. 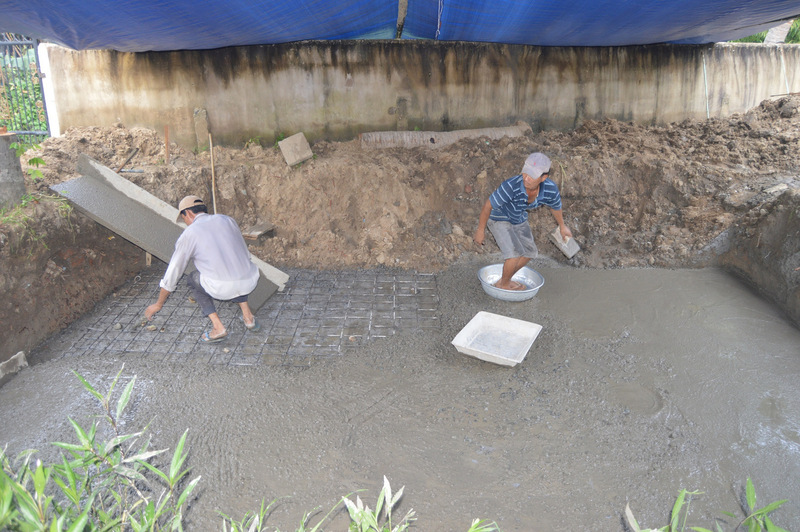 She said she would fundraise with her friends and family to help support the project. 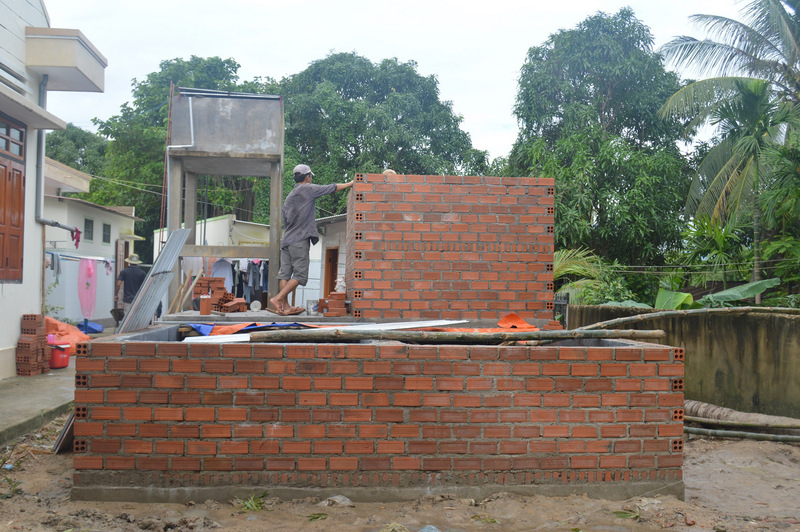 After a month of work, the project was completed! 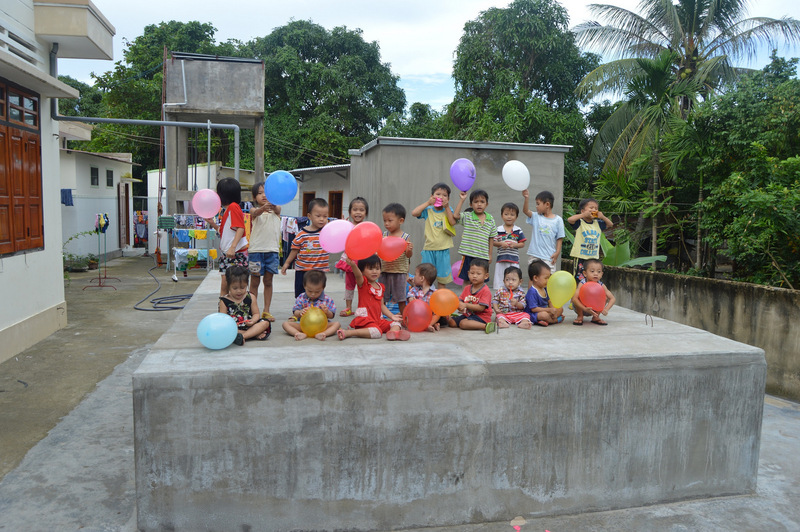 The children came out to celebrate the completion day with balloons and smiles. 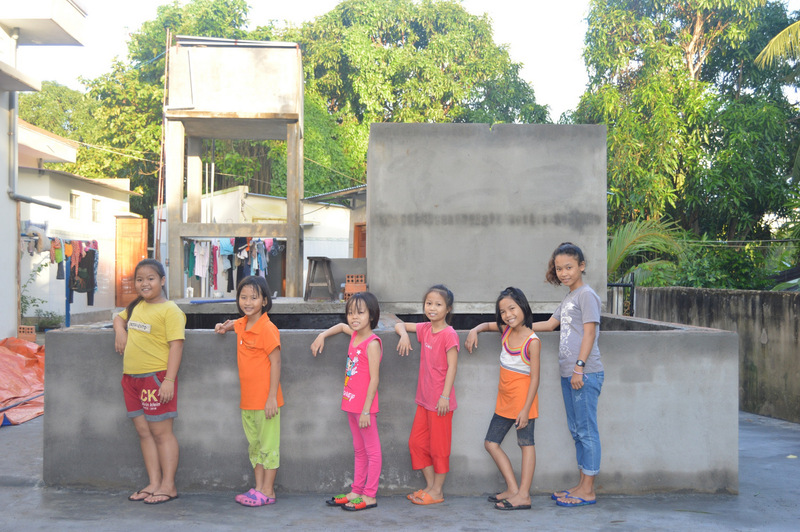 This project was sponsored by Betty Lam, Christina Phan, Lynn Hoang, Hanh Le, and Tam Le.